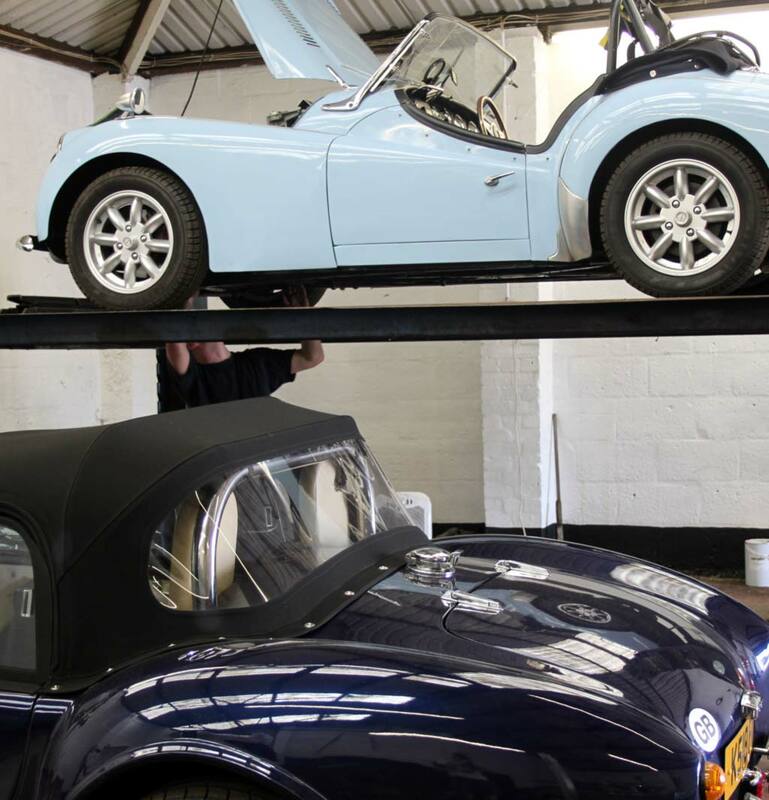 We supply, repair and fit gearboxes for all types of Classic cars, whether they are manual or automatic. We will diagnose and repair your own unit, offering great value on replacing damaged gearboxes with fully reconditioned ones. We have an ample stock of spare parts at our workshop in Leatherhead, so we can usually overhaul your transmission unit or differential within a few days. 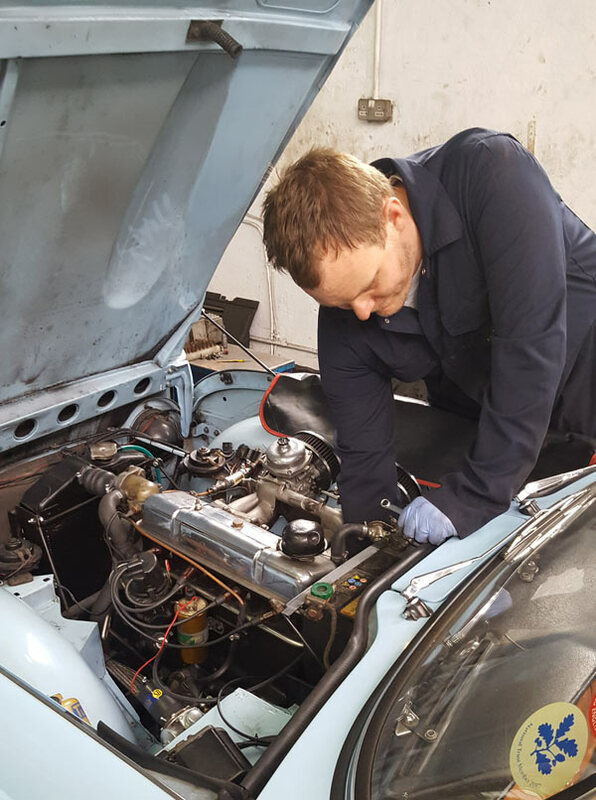 In our spacious dedicated Classic Car workshop we have 2 ramps which enables us to remove your gearbox from the vehicle before it is taken on to the bench where one of our trained mechanics will strip, identify the problem, clean and repair the transmission with new gears as required. The gearbox is then fitted by one of the team and fully tested before returning to the customer. We overhaul all overdrives for Healey, Triumph, MG and Jaguar. The unit is rebuilt with new solenoid and relined cone clutch. It is then run up on our test rig to check it operates at the correct pressure. That way, you can be confident that our rebuilt overdrive will perform exactly as it should. We are also happy to just work on your gearbox, should you wish to remove and fit it yourself. We would then take it straight to the bench for repair. Want to race or rally your classic? Upgrades and preparation to get your gearbox or differential up to competition spec are a speciality. Assessing the condition of your classic gearbox or differential and providing advice on scope for restoration. We have built up a reputation for quality workmanship in Surrey and London. Gearboxes are sent to us from all over Europe for repair and we send parts all over the world. Please call our team in Surrey on 01372 378927 or email us to discuss your gearbox problem! As you would expect from any professional company all our work comes with a guarantee, please don’t hesitate to ask one of our friendly team members for more details.